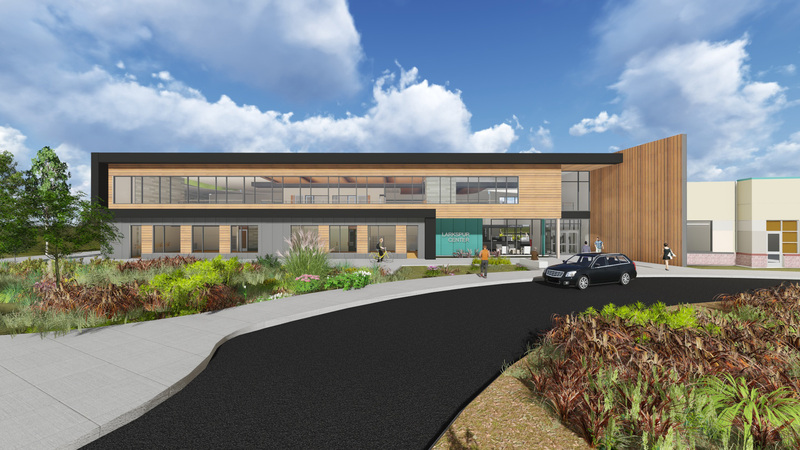 The Larkspur Community Center will welcome people of all ages and abilities while continuing the legacy of the Bend Senior Center and further enhancing programs and opportunities for older adults. Designed to be a gathering place for all, this newly expanded facility will include approximately 34,000 square feet of additional space and offer a multitude of opportunities to enhance lifelong fitness, learning and enrichment. Current Update: The project is in the design and program refinement phase. Funding Source : The district has been saving money for this project for the past four years. The center will be paid for through existing and future tax resources – without any tax increase. March 2018 – Board approves an Construction Design for the Larkspur Community Center project, which enables permitting process for continued design. What is planned for the Larkspur Community Center? 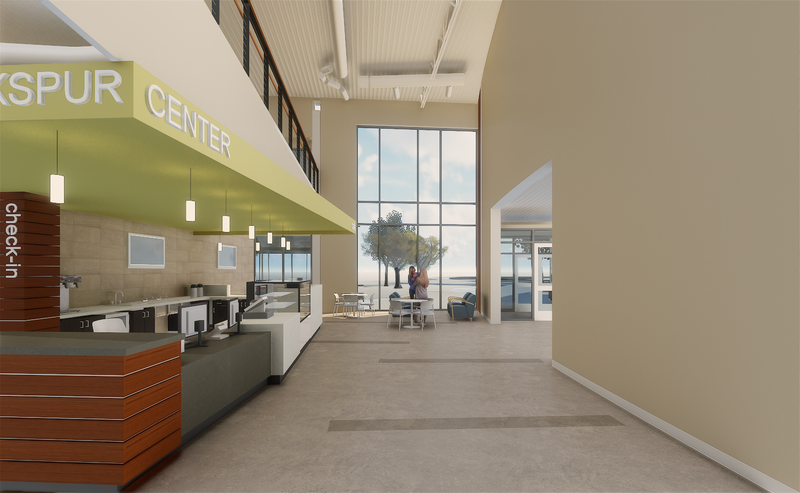 Larkspur Community Center will be a new recreation center at the expanded home of the Bend Senior Center. Scheduled to break ground in spring 2019, the facility will be a vibrant place to come together for play, wellness and enrichment when it opens in fall 2020. 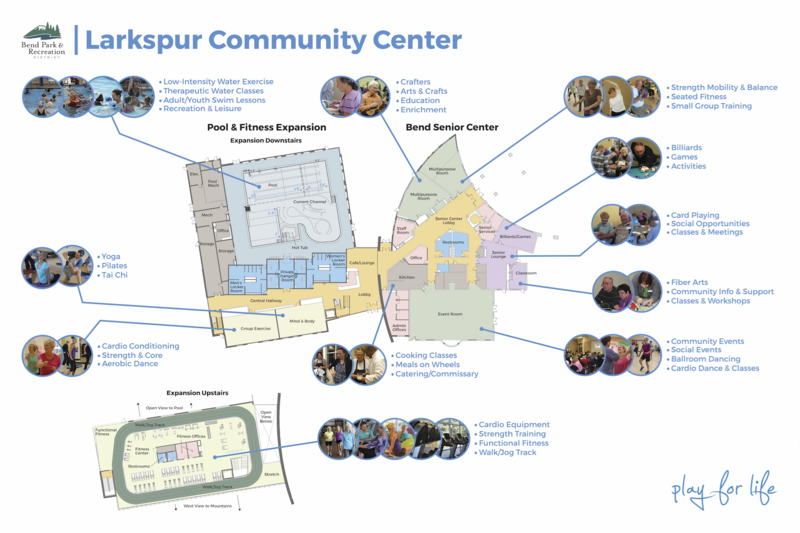 How will the Larkspur Community Center serve the community? 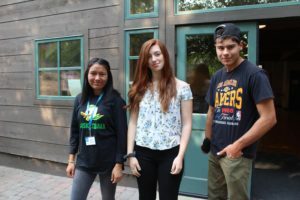 The Larkspur Community Center will meet the community’s growing needs across all age groups, including active adults who have a variety of interests and desires for social and wellness activities. Will Larkspur Community Center focus on older adults? The Larkspur Community Center expansion will serve growing demographics across all age groups of the community. The facility is being designed to be responsive to the growth of active adults who will have a variety of interests and desires for fitness, social and wellness activities. The existing Bend Senior Center will continue to primarily serve seniors as it has for the past 17 years. What aquatics activities will be offered at the Larkspur Community Center? 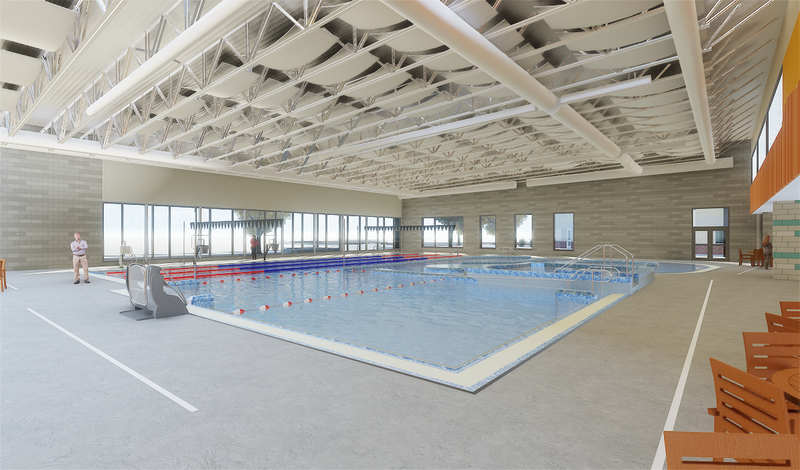 The aquatic facility at Larkspur Community Center will be a leisure-lifestyle pool perfect for therapeutic fitness, youth and adult swim lessons and recreation swimming. The pool will include a current channel that doubles as a great water exercise feature and a fun activity during recreation times. A platform lift, pool lift and multiple stairs ensure easy water entry and exit. 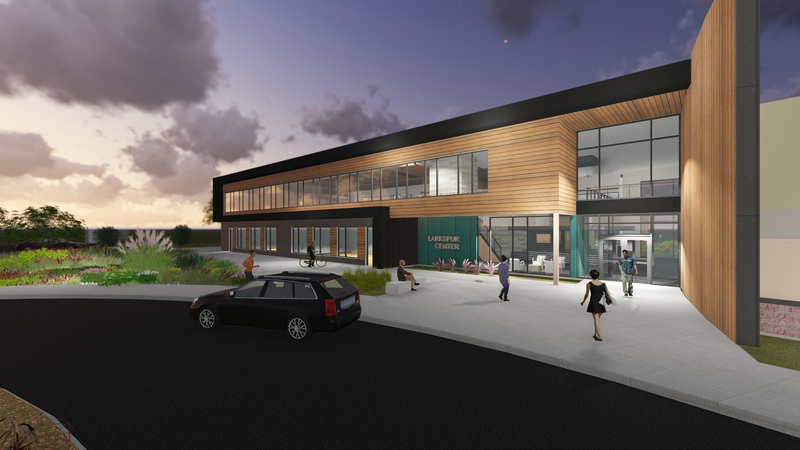 What fitness offerings will expand at the Larkspur Community Center? With more than 350 weekly class offerings at Juniper Swim & Fitness and Bend Senior Center, our community likes to come together for wellness and we can do even more of it with spaces designed for this purpose. We’ll also welcome the return of indoor walking and jogging! The upstairs fitness center is surrounded by a track – 14 laps to a mile. This will ensure indoor fitness is flexible for anything Mother Nature has in store. How will the District continue serving the more traditional senior needs? The Bend Senior Center will continue to offer AARP, Medicare and social security info sessions, host weekly lunches and social dances, the Health and Wellness Fair, Lunch and Learns, and other services that are relied upon. Social activities such as cards and games, billiards, knitting, crafts, movies and much more will continue. How will schedules accommodate older adults and all ages? We are planning for how classes and programs will complement and not conflict. There are days and times of the day to accommodate schedules effectively. We will continue to offer classes specifically designed to meet the different interests, needs and abilities of the multi generational older adult population. We are confident that most older adults will feel comfortable in the new Larkspur Center expansion, but for those who are not, the existing Bend Senior Center will remain a familiar option. During evenings and weekends, we will have programs and activities for children and adults, ensuring all members of the community have opportunities for wellness and fun. 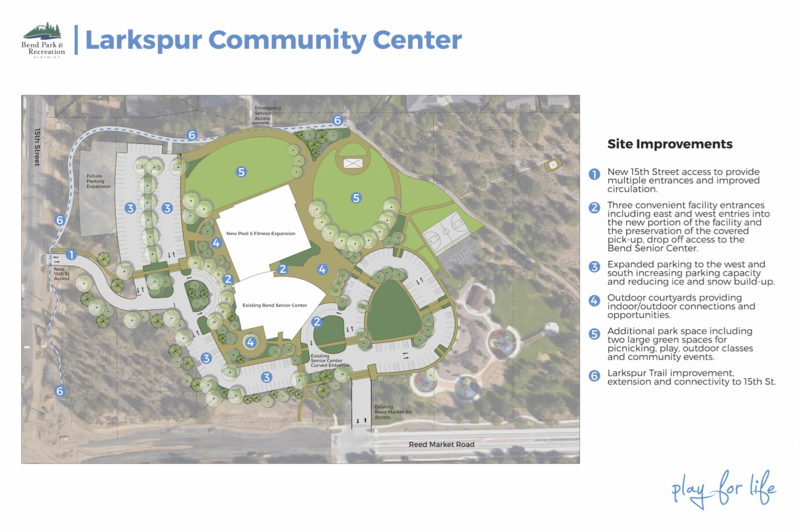 The following information can answer questions about how the Larkspur Center construction activity will impact the Bend Senior Center programs and activities. How will current activities at Bend Senior Center be impacted by construction? Patience is much appreciated when we temporarily close Bend Senior Center in summer 2019 to get the bulk of the noisy, dusty work completed. Bend Senior Center will reopen in fall 2019 as work continues on the expansion. Every effort will be made to reduce the impacts on the facility and its patrons during the 14-month construction. Will summer 2019 programs and activities be relocated? Yes! 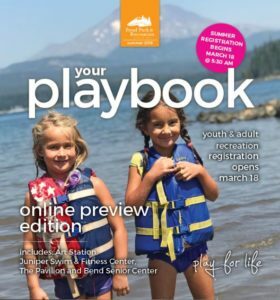 Bend Senior Center fitness classes and other activities will move to other locations in summer 2019. 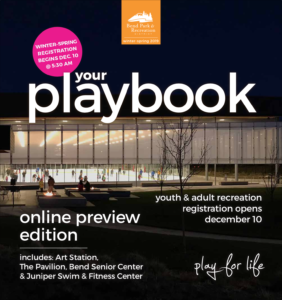 Additionally, all Bend Senior Center Frequent User Passes, including the multi visit/10-visit and social pass, will be honored at Juniper Swim and Fitness Center during the closure, including Supplemental Health Plan basic passes (Silver Sneakers, Silver & Fit and AARP). During the first two weeks of June, patrons will have access to classes and services at the Riverbend Community Room in the District Office, 799 SW Columbia St., and at The Pavilion, 1001 SW Bradbury Way. After schools are out for the summer, programs will shift to Marshall High School. How will Larkspur Park and Larkspur Trail be affected by construction? Construction activity will also affect use of Larkspur Park and Larkspur Trail. Due to safety concerns with an active construction site and closed parking lot, Larkspur Park will only be accessible by bike or walking. Larkspur Trail will detour around the fenced construction area for the project allowing for continuous use of the trail. For families who use the popular playground, this may be an opportunity to visit the many other playgrounds offered in the District. How is traffic and parking being planned for? A new access point from 15th Street will provide multiple entrances and improved circulation. 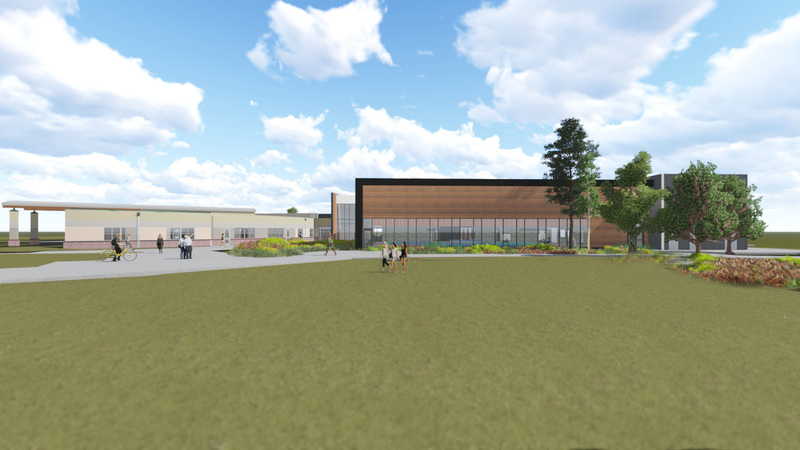 The building will feature three entrances, including east and west entries into the expansion as well as the preservation of the covered drop-off and pick-up access to the Bend Senior Center. Eighty-five new parking spaces will be added (for a total of 241 spaces) to meet the needs of patrons.